SMARTLipo is laser-assisted liposuction that targets trouble spots like the waist, abdomen, thighs, and neck and eliminates fat using an optimized blend of two laser wavelengths for safe fat removal with a tissue-tightening effect. Our surgeons customize the technology used for each liposuction case for optimal results. Patients and physicians report low to minimal pain and bruising. Surgeons are able to work with such precision that they can shape delicate areas like the inner thighs, arms, chin, and neck. 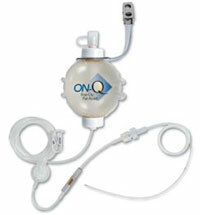 The ON-Q pain relief system is used for up to one week, and it runs by itself 24/7, needing no adjustments. The system provides a continuous infusion of a local anesthetic directly to the treatment area for postoperative pain management. Exparel is also an option. It is a non-narcotic local analgesic. Long-acting, it is a slow-release injectable pain medicine that is commonly used for breast and tummy tuck surgeries. It can relieve pain for 72 hours with one injection. 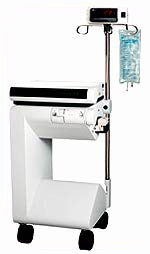 This unique, patented French machine created by LPG was developed in 1986 initially to treat scars from burns. It was found to have more applications and is now used in the treatment of scars, cellulite, undesired fat deposits, poor lymphatic drainage and superficial circulation, muscular strains, and injuries in sport and physiotherapy applications. In the United States, the Cellu M6 IP has been recognized by the FDA for the treatment of cellulite. To find out more, visit our Endermologie® page. It will provide you with answers to further questions about Endermologie® and its benefits. This is a laser by Cynosure, designed to eliminate cellulite by releasing the connective septa that pull down on the surface of the skin, creating telltale dimples. When inserted through small incisions, the laser can also liquefy fat to even out an area and stimulate new collagen production for smoother, more elastic skin. 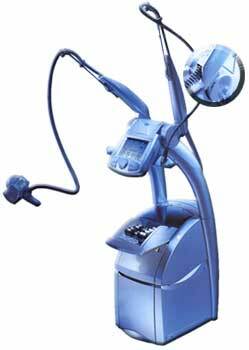 This is another cellulite treatment, which uses a microblade to sever septa without the need for incisions. After a single, 45-minute treatment session, results are visible within days and last for at least two years. Brief pulses of nitrogen plasma stimulate the skin’s natural regenerative properties with minimal risk of complications associated with more aggressive treatments. Application of this technology tightens and tones, reducing the appearance of wrinkles and discolorations.